Exotic to some, standard fare to others–starting your day off with cream cheese and smoked salmon packs a punch of both flavor and protein. 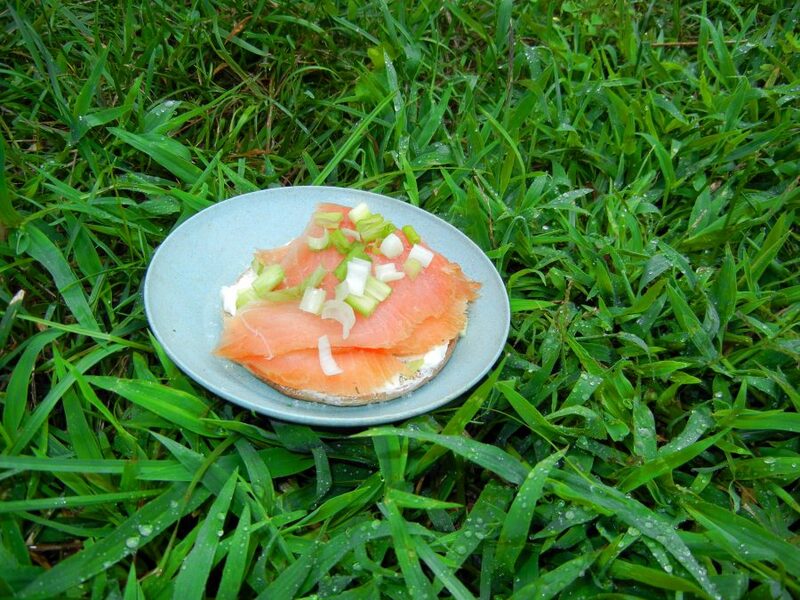 Here we have smoked salmon and green onions atop fat free cream cheese and a wheat sandwich thin. And though the classic form of this sandwich comes on a bagel, sometimes it’s best to deviate from tradition and customize to your own tastes–take inspiration from the salmon swimming against the current.